You are here: Home » Imperial sized ZigZag™ cylinder brush. 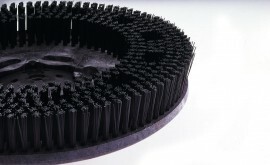 The benefits of our widely popular modular ZigZag™ cylinder brushes can now be used on imperial specified shafts due to the introduction of newly cut moulds allowing production of ¾”, 1”, and 2” internal diameter ZigZag™ brushes. In order to avoid any confusion, any cylinder body moulded in a metric size will continue to be black, and any moulded in the new imperial size will be red. 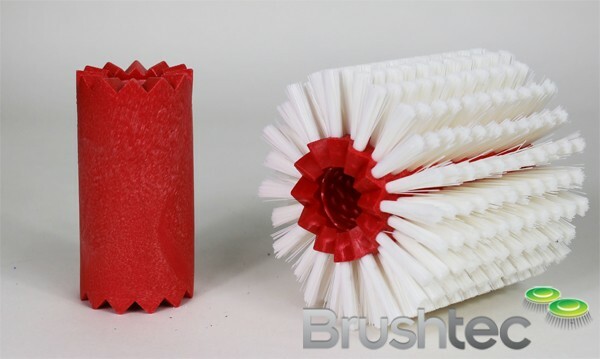 The main benefits of the ZigZag™ brush are that it allows for very fast simple brush change and if required complex brushing patterns can be achieved much easier than a single cylinder brush; also if one part wears faster than the rest, the individual brush can be replaced without replacing the rest. 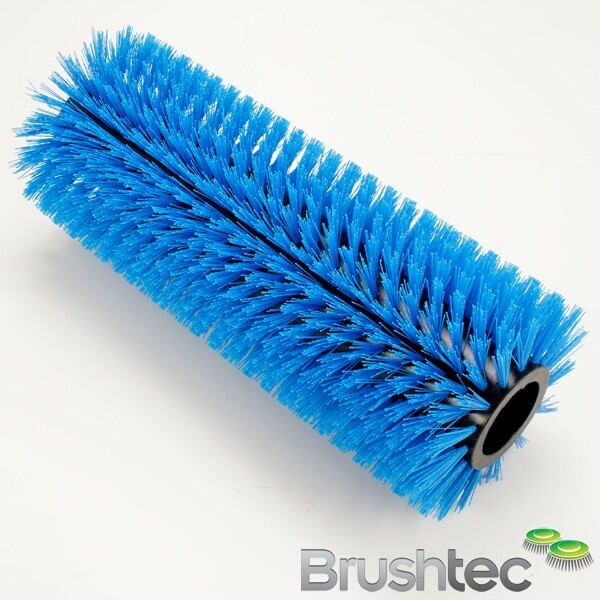 Being able to replace brushes of course also means that the combined cylinder can be restructured at any point to accommodate different production, or experiment in layout for efficiency. ZigZags™ have been used in a wide range of applications worldwide, from North East glass laminating, Mexican mirror manufacturing, to Brazilian coffee bean processing. 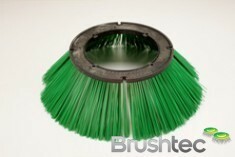 The modularity of the brushes allows the scope of their use to be wide ranging.